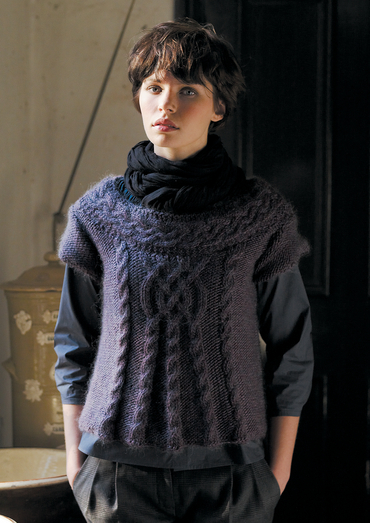 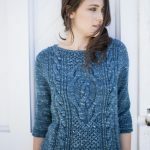 Stockport Cropped Cabled Sweater Free Knitting Pattern. 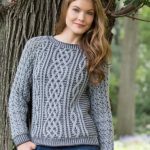 This stylish, cropped sweater for ladies was designed by Sarah Hatton using the super soft Cocoon yarn, a blend of 80% wool and 20% mohair. 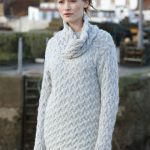 Featuring beautiful cable stitch detail, this is an ideal piece to layer and would make a lovely addition to any wardrobe.